The course begins on 2nd Street near the corner with St. Paul Ave SE, near Trinity Reformed. The race finishes on St. Paul Ave near the Trinity sign. 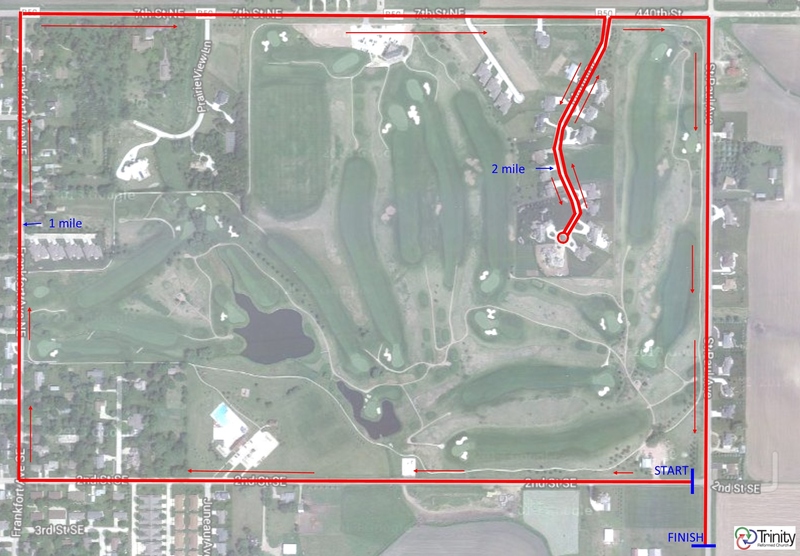 It is a gently rolling single loop course. In case of ice or snow raising safety concerns on the roads, we may change the race to a cross country style race on the Trinity campus. Mon-Thur: 8 a.m. to 5:00 p.m.
Sheila Weaver on 2015 Logo is launched!